The OCCC EMT Program has the responsibility to society to educate competent health care providers to care for their patients/clients using critical judgment, broadly based knowledge, and competent technical skills at the entry level. For information about requirements and applying, click the “More Details” tab, below. The Emergency Medical Services Department offers career training for entry-level positions in emergency medical settings. Ambulance companies, fire departments, police departments, and various other industries requiring emergency medical services may employ EMS Providers. After successful completion of all requirements for EMT or AEMT training, the student is eligible to apply to take the respective state licensure exams. The Emergency Medical Services (EMS) Department trains and educates EMS professionals to excel in meeting the needs of the community. 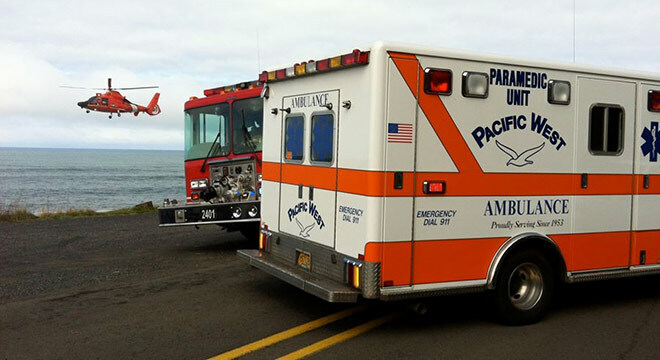 EMS Providers respond to medical emergencies by providing immediate care and transportation to the ill and injured. This department combines classroom lectures, hands-on skills labs and appropriate cooperative clinical and field experience to provide students with cognitive, psychomotor, and affective competence to function as effective EMS providers. The Advanced Emergency Medical Technician (AEMT) provides basic and limited advanced emergency medical care and transportation for critical and emergent patients who access the emergency medical system. AEMTs function as part of a comprehensive EMS response, under medical oversight, performing interventions with the basic and advanced equipment typically found on an ambulance. The AEMT is a link from the scene to the emergency health care system. Minimum 20 credits. Students must meet all certificate requirements. Develops skills for the recognition of symptoms of illness and injuries and proper procedures of emergency care. Requires passing criminal background check and drug screen before placement into mandatory clinical observation in hospital emergency department and ambulance ride-along experience. Part 1 of the 2-part Oregon EMT course. Department permission required. Prerequisite: WR 115; MTH 20; RD 90; current BLS HCP CPR card. Continues EMS 105, Oregon EMT preparation. Includes preparation for state and national certification exams. Department permission required. Prerequisite: Successful completion of EMS 105 at OCCC within the last year; current BLS HCP CPR card. Assess, treat, transport, document, and verbally report for a variety of medical emergencies. Develops skills for recognizing symptoms of illness and injuries. Covers proper procedures of emergency care at the Advanced EMT level. Requires passing criminal background check and drug screen before placement into mandatory clinical and internship experience. Part 1 of the 2-part Advanced EMT course. Department permission required. Recommended: BI 121, BI 122, or higher, WR 121, and MTH 60. Prerequisite: EMS 106, WR 115, MTH 20, RD 90 (or higher levels); current HCP CPR card; current Oregon EMT licensure. Develops skills for recognizing symptoms of illness and injuries. Covers proper procedures of emergency care at the Advanced EMT level. Continuation of AEMT Part I. Requires passing criminal background check and drug screen before placement into mandatory clinical and internship experience. Part 2 of the 2-part Advanced EMT course sequence. Department permission required. Recommended: BI 121, BI 122, or higher, WR 121, and MTH 60. Prerequisite: EMS 135 at PCC within the last year and Current BLS HCP CPR card; Current Oregon EMT licensure. Students must pass Fall term EMT class to continue in the program.